Bell Peppers give a fresh feel to any meal. Eat them raw to experience a juicy crunch! You can also roast or stuff with your choice of ingredients. 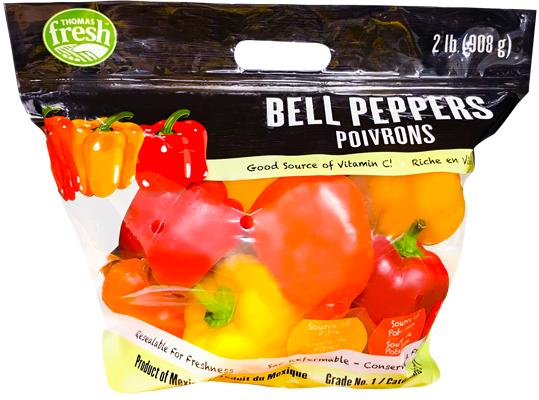 Combines a medley of green, yellow, orange and red bell peppers in one convenient package. Green peppers have a bitter flavour, orange and yellow offer a tinge of sweet, while red peppers are very sweet and succulent. Different coloured peppers can be used interchangeably in some recipes, where as other cooking may require a distinct colour. Green peppers are not usually eaten raw and are almost always cooked. Orange, yellow and red peppers can be eaten raw but are commonly used for roasting and stuffing in recipes. 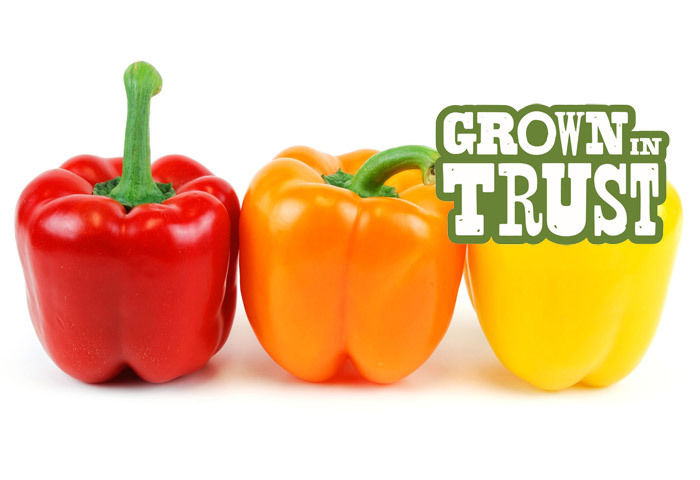 Bell peppers are actually considered to be part of the fruit family! The bell pepper is the only pepper of the Capsicum family that does not produce capsaicin, which is known to cause the burning sensation that peppers are famous for.